With the Anti-distracted Driving Act being implemented earlier this year, we can expect the most motorist to be fully focused on their driving without neglecting their own safety and the safety of others. Though it is anticipated that some would still try to work around this law due to their busy schedule while others would prefer to be more productive amidst the horrendous traffic, who are we to condemn. Metro traffic is getting worse every day and we can expect the worst to come this holiday season. CD-R King your one-stop media provider brings more affordable Bluetooth headset available to the general public to assuage this problem. Bluetooth headset allows you to use both of your hands at all times giving you the freedom to attend to calls while on mobile and still be able to focus on driving. This gadget is also beneficial to working parents who have to juggle work and home errands as it will be easier to move around while on the phone or listening to audio. 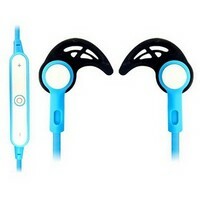 Bluetooth headsets allow flexibility and productivity to consumers. Gym buffs greatly benefit from this gadget as well, they are free to choose whichever music they want to listen to minus the wires and cables of a regular headset. 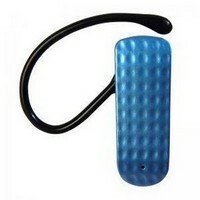 This allows uninterrupted exercise activities for a more conducive workout. 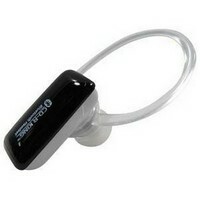 Students can also benefit from Bluetooth headset whenever they’re using audio help in memorizing. A study shows that listening to music or listening to audio materials can help students do better in memorization. Bluetooth headsets are compatible with most gadgets including home PC and audio devices other than your mobile phones thus, giving you a wider range of connectivity. It can be used up to 30ft range. With prices as low as Php280, this will also be a great gift idea across all genre and market segment as anybody can put this gadget to a good use and can complement whatever activity they please. Visit CD-R King branches near you to check on their wide range of Bluetooth headset and another tech gadget that suits your lifestyle. Follow them on FB: https://www.facebook.com/cdkingph for more updates and promos.